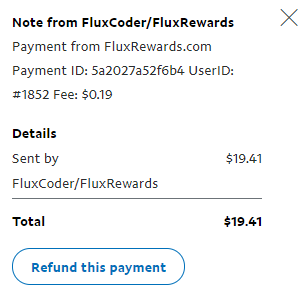 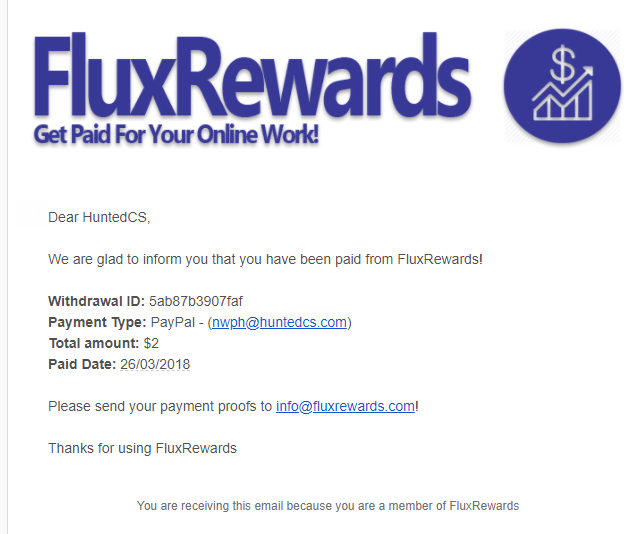 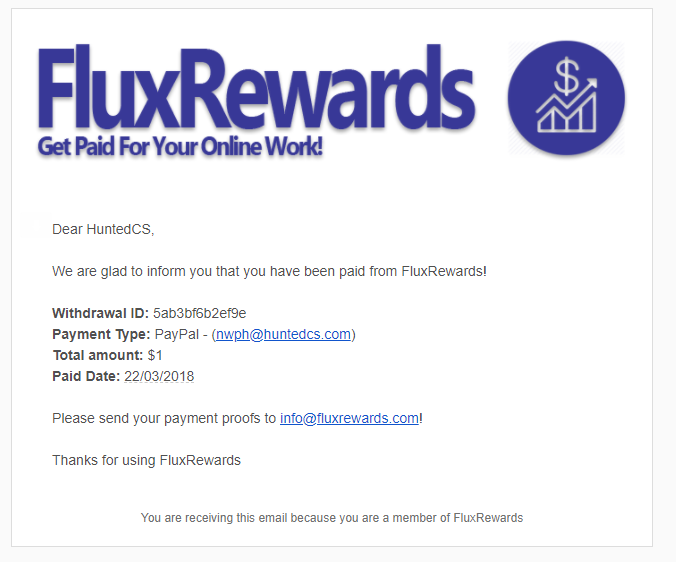 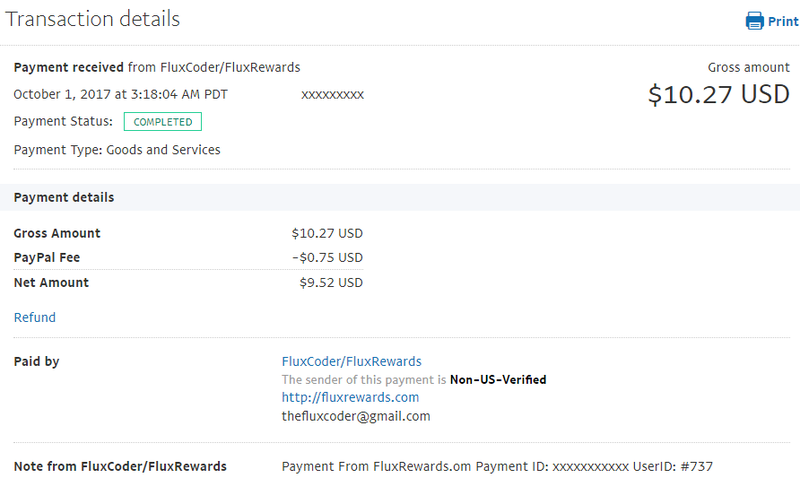 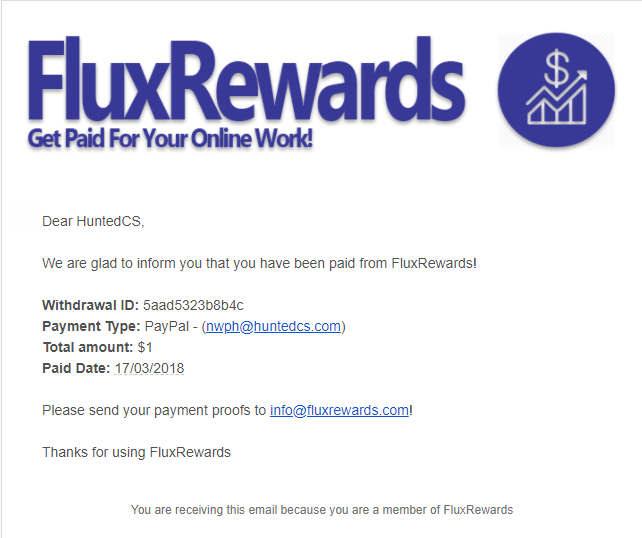 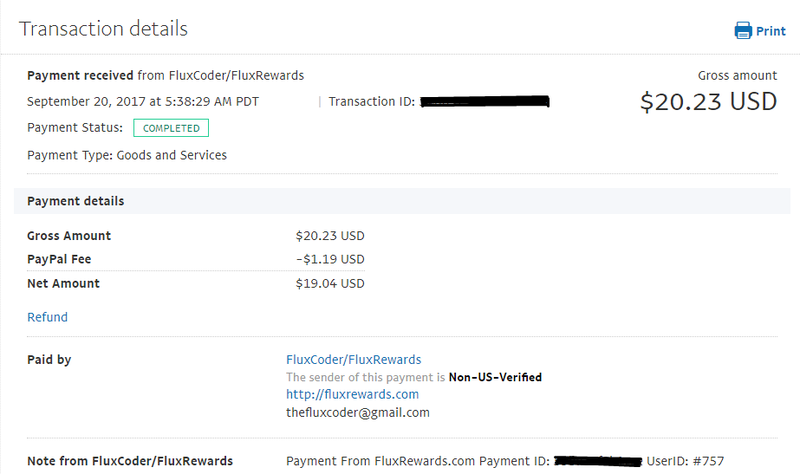 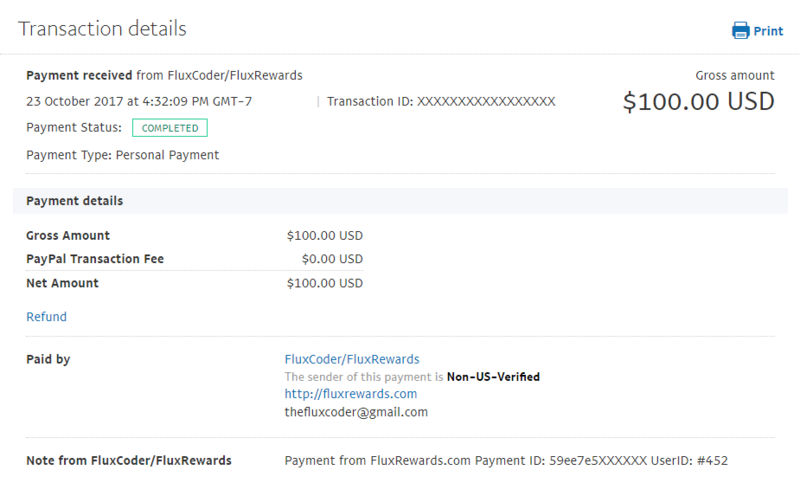 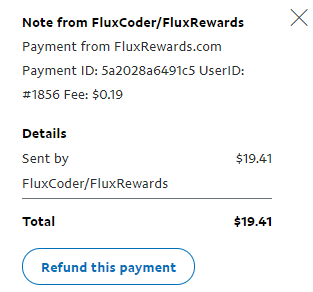 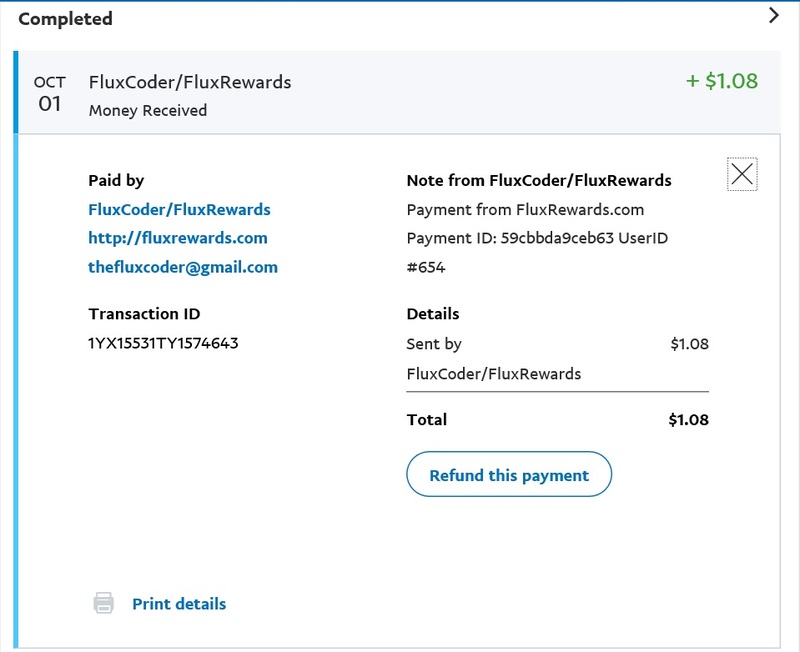 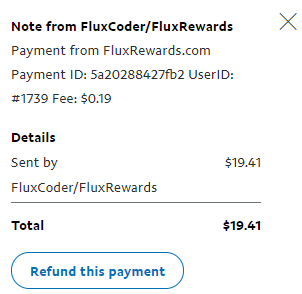 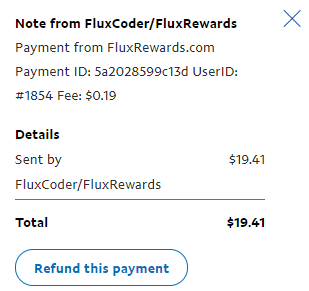 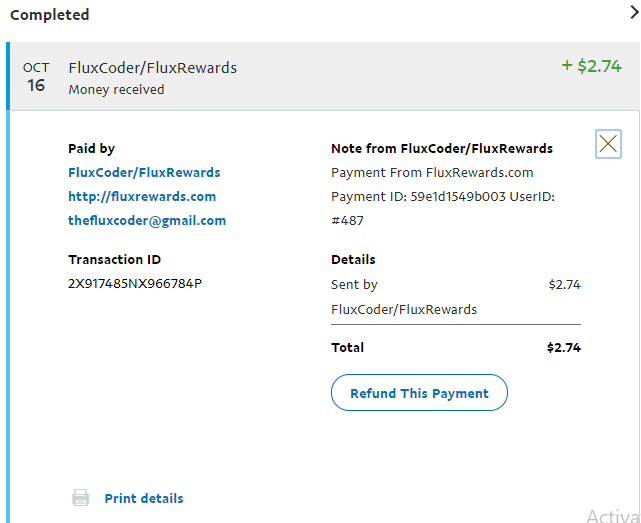 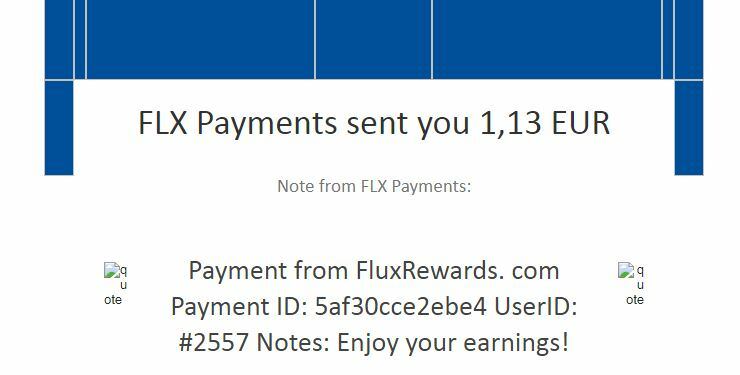 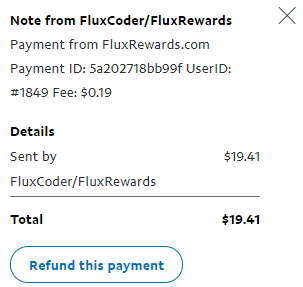 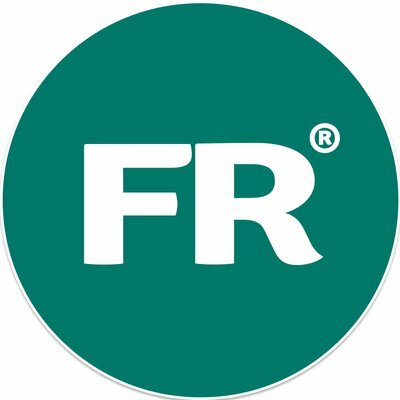 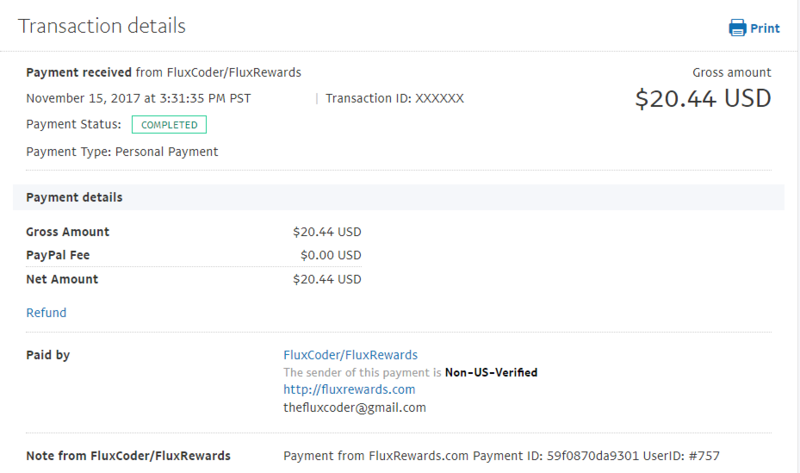 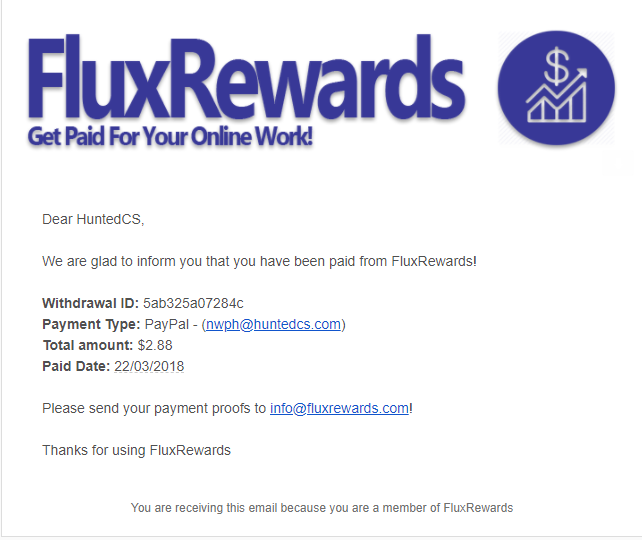 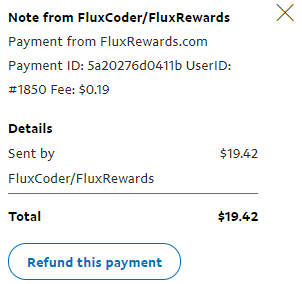 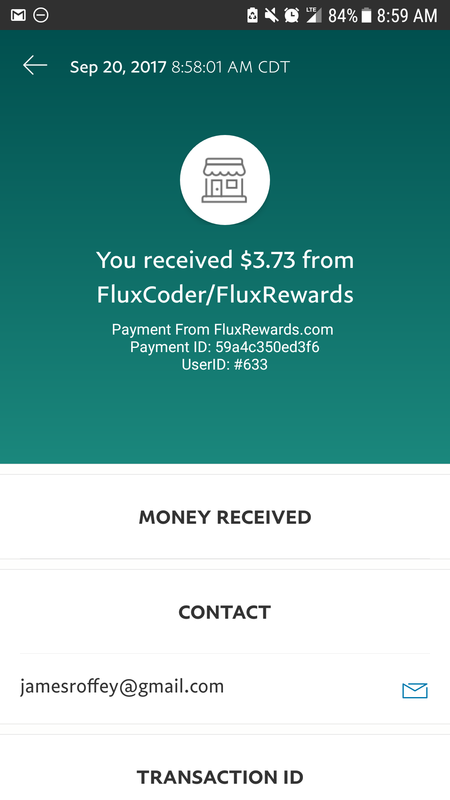 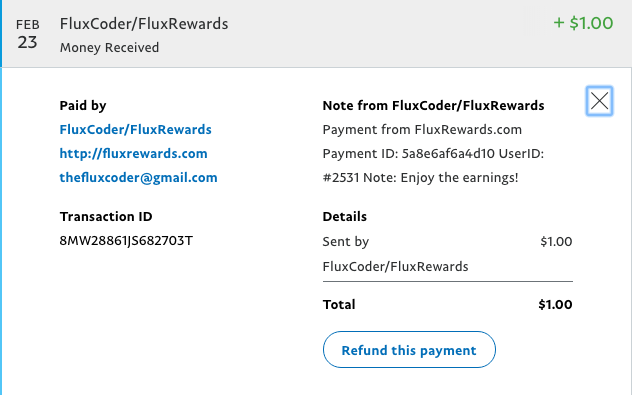 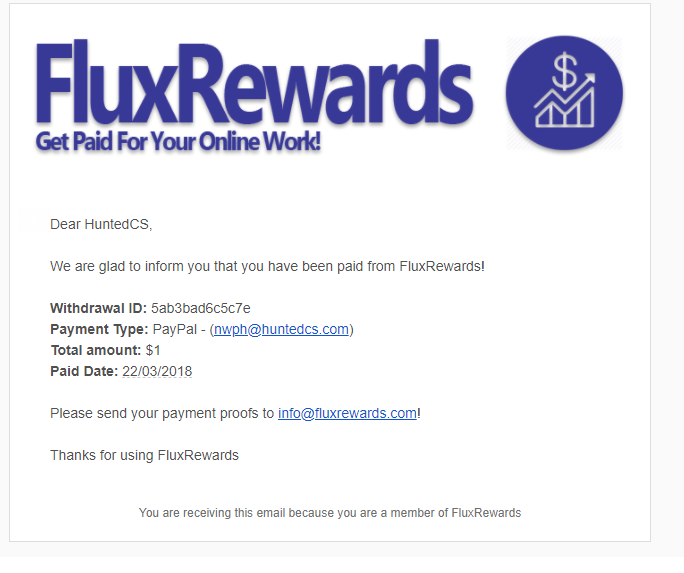 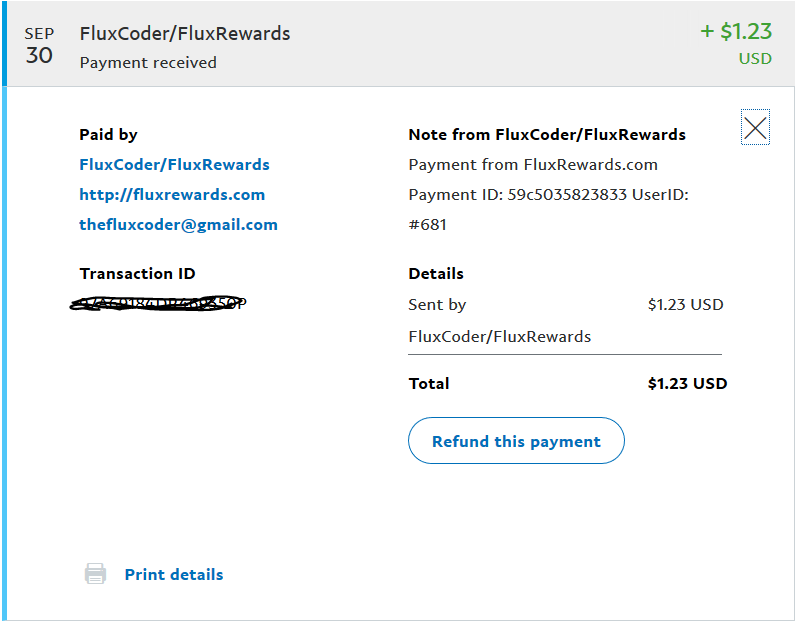 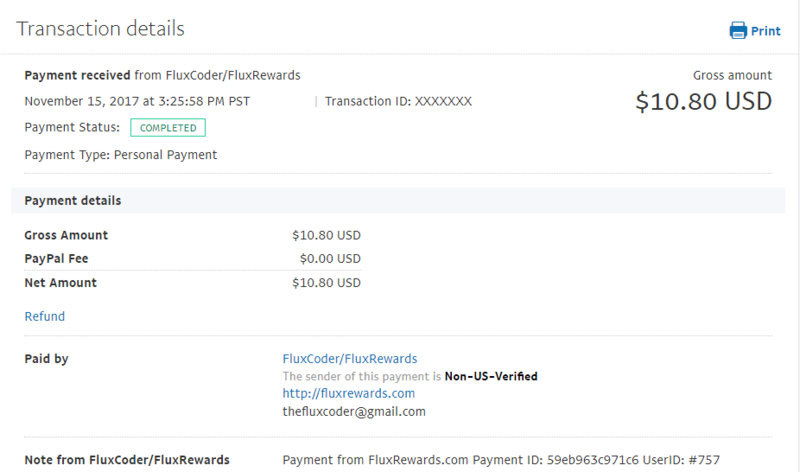 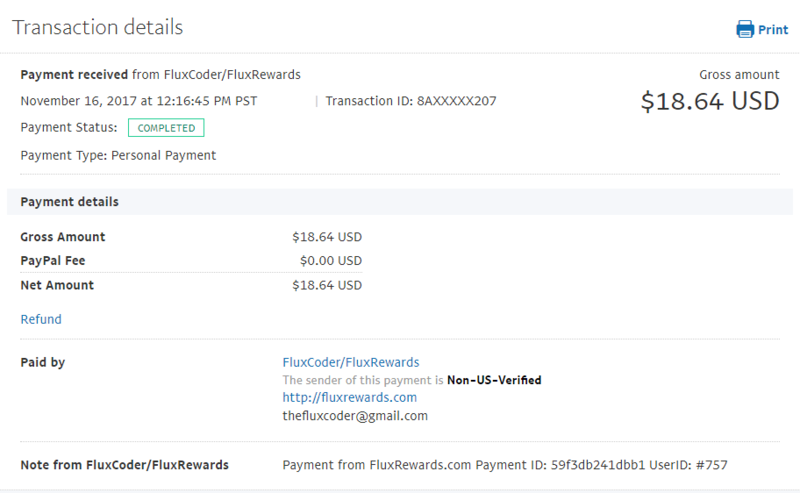 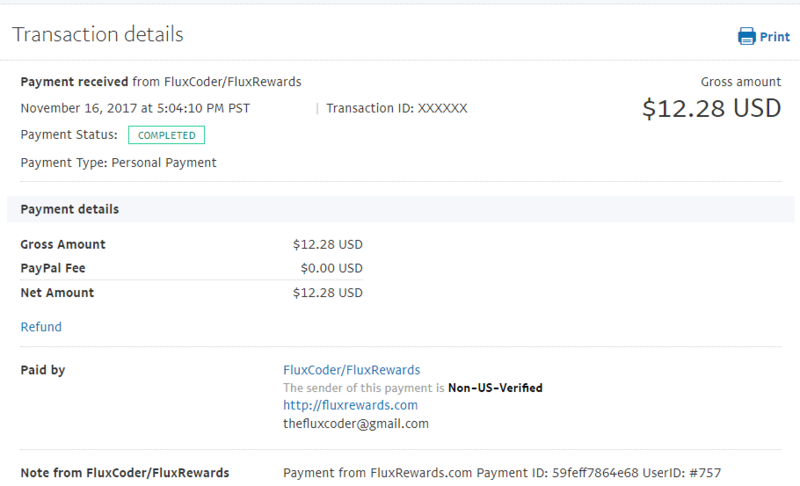 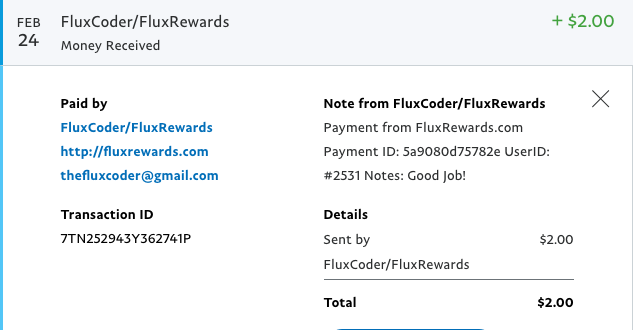 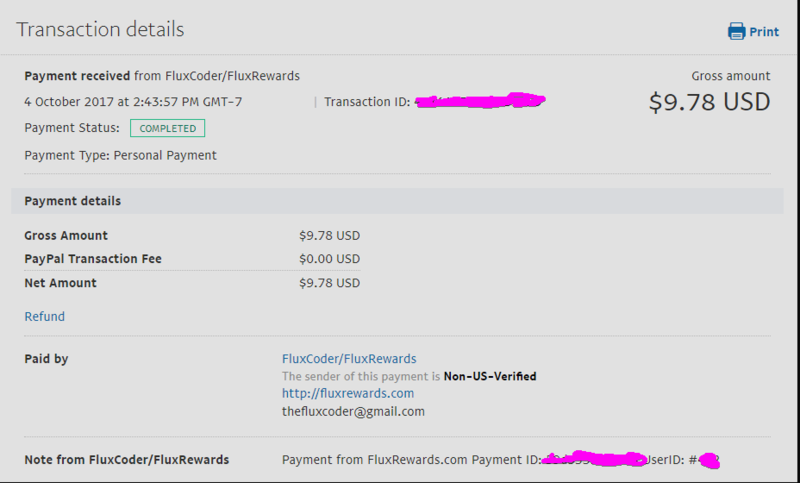 Payment Proofs - FluxRewards - Get Rewarded For Your Online Work! 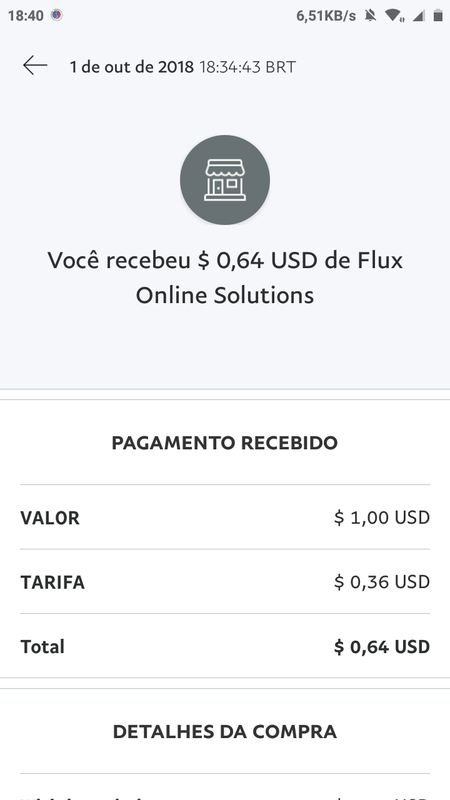 All payments are sent either by PayPal or Bitcoins. 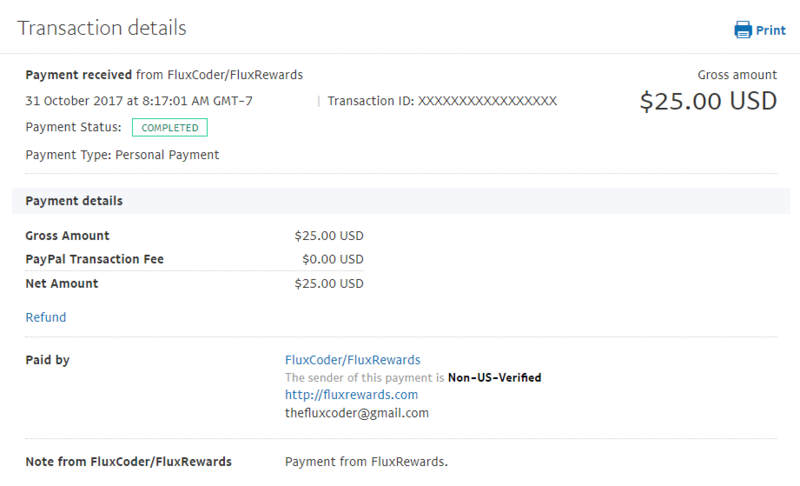 Users can set their payment address (PayPal Email or BTC Wallet) via their account settings page. 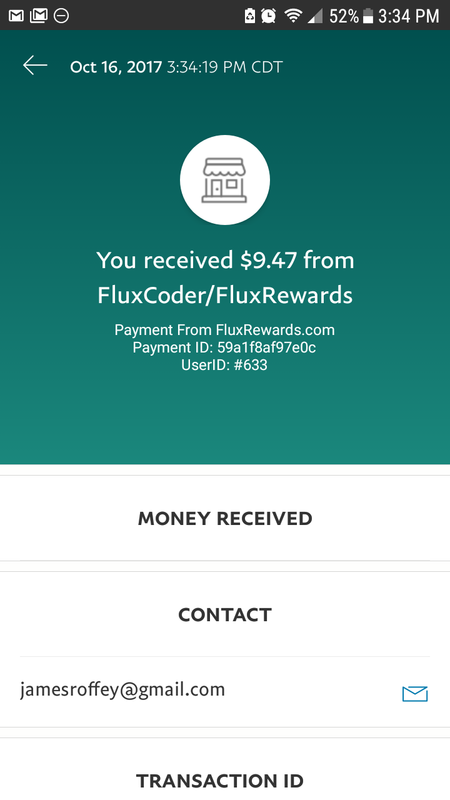 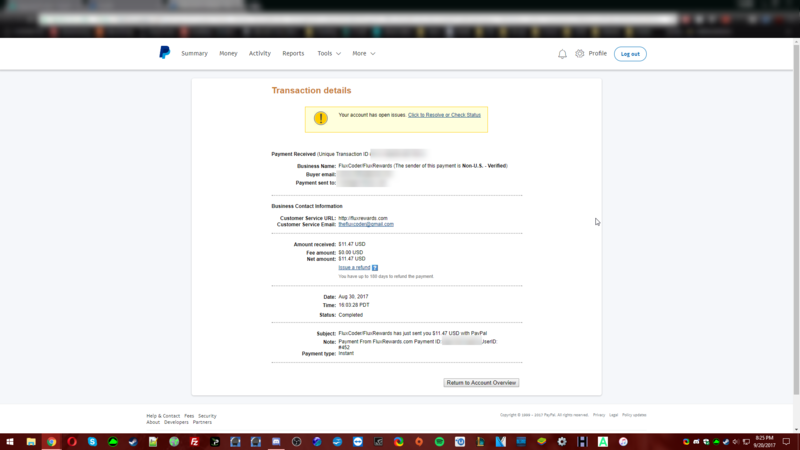 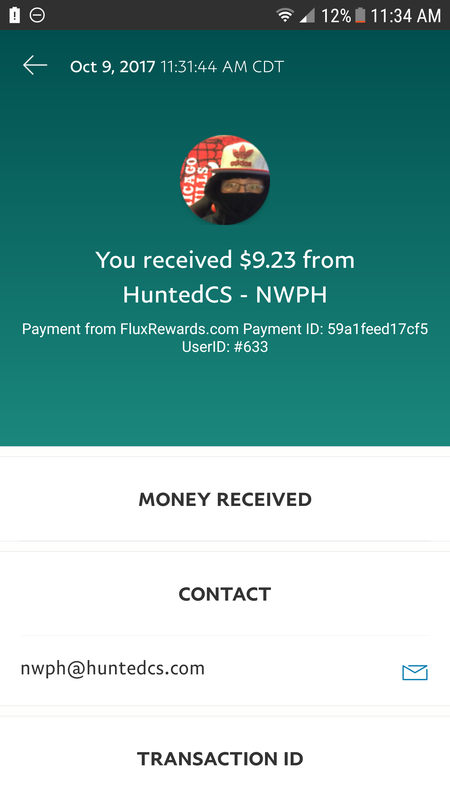 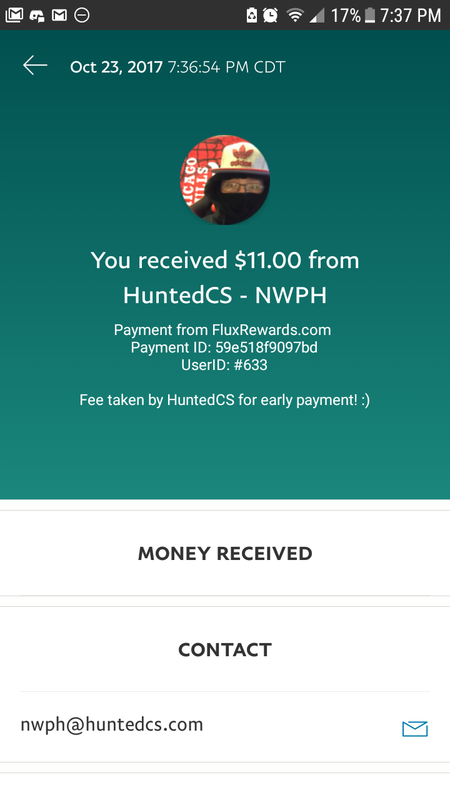 We ask all user's when they are paid to send a screenshot of their payments, not all do, but here are some that have done. 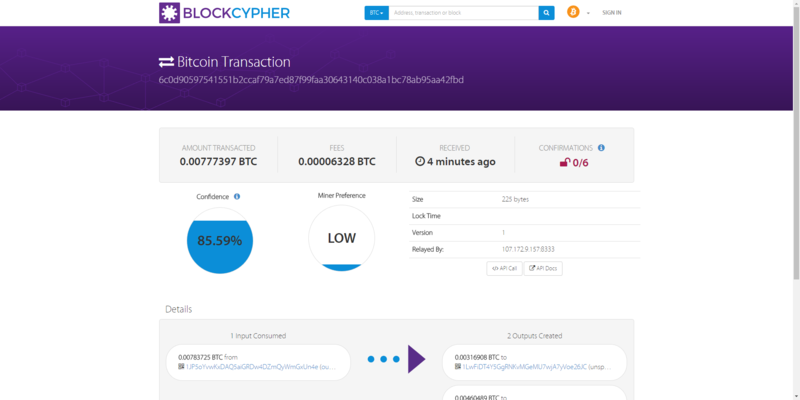 Page generated in 0.4464 seconds.